Mike Smith's Hockey Playbook is a practical handbook for coaches seeking to improve their players and better their team-play. The book features systems for defensive, offensive and special-team situations, all accompanied by annotated, easy-to-understand diagrams. The systems range from conservative to aggressive -- some are intended for big, physical teams; others for fast-skating and highly skilled teams; and some work for both. Smith also includes teaching methods and drills for honing specific skills. The first challenge for every coach is to determine the abilities of each skater. 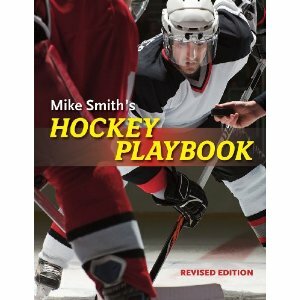 The approach in Mike Smith''s Hockey Playbook is effective with players of all ages and levels of ability. Coaches can match systems with team strategy, bringing a special creative magic to one of the fastest team sports in the world. Teaching strategies for all levels of play. Michael A. Smith has been involved in hockey for over 40 years as a player, coach and general manager of the New York Rangers, Colorado Rockies, Chicago Blackhawks and Team USA. He was an adviser for the National Hockey League and has traveled extensively as a lecturer and studied European training methods in Russia and Sweden. The author of six books on hockey, he lives in West Tisbury, Massachusetts.